Moments before Angry Birds Space makes its huge entrance in app catalogs across the world, Rovio’s existing best sellers Angry Birds and Angry Birds Rio got updated with new levels for even more of the bird-catapulting and pig fighting fun. The original Angry Birds game now has 15 additional levels with tropical themes matching the spring mood in the Northern hemisphere. They are part of the 45-level Surf and Turf episode and introduce a brand new UI, an animated tutorial and a welcome fast-forward key to go straight to the score screen after killing the last vile pig. 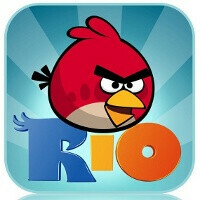 Angry Birds Rio on the other hand also gets new levels, but there the story has already gotten its logical ending. There are 12 new levels appearing for those who managed to collect all three starts and all golden fruits. And those aren’t the last updates to the addictive games - there are at least two more coming for the original Angry Birds and at least one more for Rio. Do people even play those games anymore?